Promotion to produce cosmetics !! 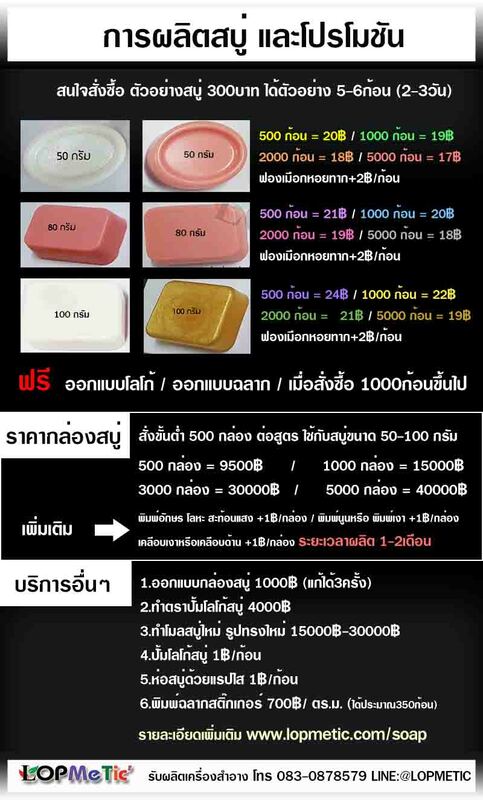 Promotion cosmetic only, not including soap, cosmetics packaging and other services. The details and the process of the production of cosmetics. All products manufactured are registered. 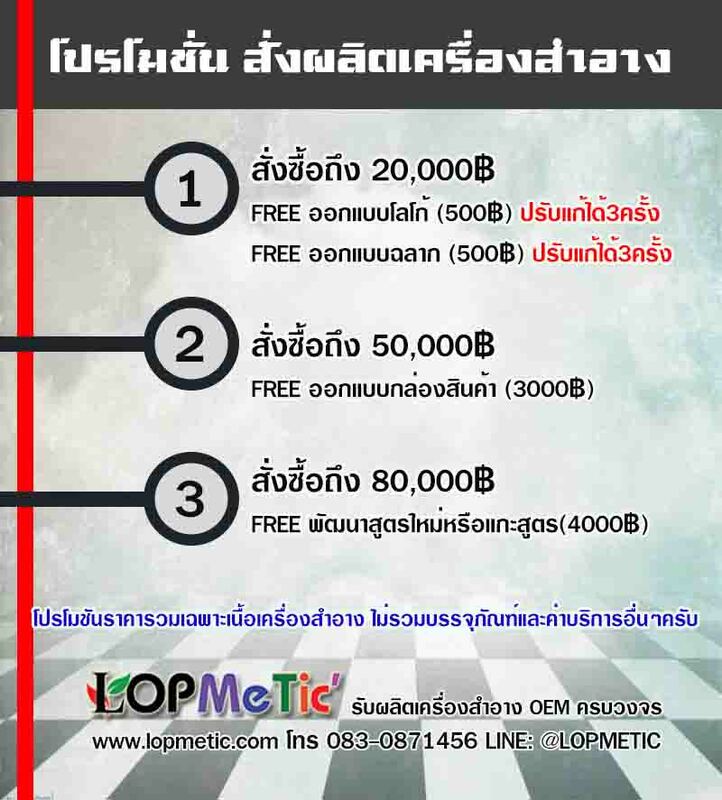 1500 baht per name on products.